The Honorable Sir James Whiteside McCay, KCMG, KBE, CB, VD. Date of Birth: 21 December 1864. 4th Infantry Battalion (Victoria), 29 October 1886. 4th Infantry Battalion (Victoria), 8 March 1889. 4th Infantry Battalion (Victoria), 13 March 1896. Lieutenant Colonel: 1 January 1900. 4th Infantry Battalion (Victoria), 1 January 1900. 8th Australian Infantry Regiment, 1 July 1903. Director of Intelligence, Intelligence Corps, 6 December 1907. Honorary Colonel, 66th and 67th Infantry Regiments, 6 December 1907. Unattached List: 31 March 1913. Temporary Brigadier General: 15 August 1914. Brigadier General: 15 August 1914. General Officer Commanding, 2nd Infantry Brigade, AIF, 15 August 1914. 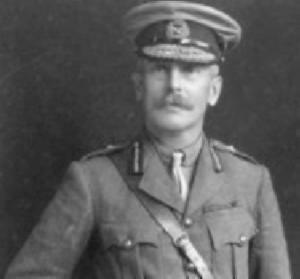 Temporary Major General: 29 November 1915. Major General: 22 February 1916. General Officer Commanding, 5th Infantry Division, AIF, 22 March 1916. Honorary Colonel, 2/7th Infantry Battalion, 1 October 1918. Appointment Terminated: 20 August 1919. Lieutenant: Military Garrison Artillery, Victoria, 30 May 1884. Captain: Military Garrison Artillery, Victoria, 29 August 1885. Major: Militia Garrison Artillery, 12 July 1889. Appointed to Permanent Staff as Brigade Major, Garrison Artillery, 1 July 1890. Transferred to Victorian Permanent Artillery, 1 August 1891. Captain: Reverted to Captain at his own request, Victorian Permanent Artillery, 13 November 1891. Acting Staff Captain, Garrison Artillery (extra to Regimental appointment), 8 November 1894. Captain, Victorian Permanent Artillery, 1 May 1896. Major: Royal Australian Garrison Artillery, 29 April 1897. Commanding Officer, Western Brigade, Victorian Garrison Artillery. Lieutenant Colonel: Royal Australian Garrison Artillery, 13 March 1900. Commanding Officer Royal Australian Garrison Artillery, Victoria, 13 March 1900. Commanding Officer Royal Australian Garrison Artillery, New South Wales, 1 July 1902. Colonel: Royal Australian Garrison Artillery, New South Wales, 1 October 1906. Chief of Ordinance, Board of Military Administration, 1 January 1907. Commandant, Citizens Military Forces of Victoria, 14 August 1907. Honorary Brigadier General: Quartermaster General, Military Board. Companion of the Most Distinguished Order of St Michael and St George, 1916. Honorary Major General: Unattached List, 20 July 1918. Officer Commanding Troops, A71 HMAT Marathon, 20 July 1918. Commission terminated as permanently unfit for military service, 21 February 1919. Lieutenant: 2nd Infantry Battalion, 8 November 1887. Adjutant: Permenant Adjutant, 2nd Infantry Battalion, 1 January 1891. Adjutant: Permenant Adjutant, 1st and 2nd Infantry Battalions, 1 July 1893. Adjutant: Permenant Adjutant, 3rd and 4th Infantry Battalions, 31 May 1897. Adjutant: Permenant Adjutant, 5th Infantry Battalions, 1 January 1899. Adjutant: Permenant Adjutant, 1st and 2nd Infantry Battalions, 15 November 1899. Adjutant: Permenant Adjutant, Rangers, 30 March 1900. Temporary Commander: Rangers, 2 July 1900. Adjutant: Permenant Adjutant, Rangers, 10 November 1901. Deputy Assistant Adjutant General, Victoria, 13 March 1902. Honorary Lieutenant Colonel: 5 April 1902. Acting Assistant Adjutant General, Headquarters Staff, 27 November 1903. Deputy Assistant Adjutant General, Headquarters, with temporary rank of Lieutenant Colonel, 14 January 1904. Temporary Deputy Assistant Adjutant General, 12 January 1905. Instructional Staff, Queensland, 1 July 1905. Instructional Staff, New South Wales, 28 March 1906. Deputy Assistant Quartermaster General, New South Wales, 1 July 1907. Acting Deputy Assistant Adjutant General, New South Wales, 1 July 1908. Temporary Lieutenant Colonel: 1 September 1909. Commandant, 5th Military District, 1 September 1909. Substantive Lieutenant Colonel: 17 December 1909. Temporary Colonel: 10 January 1911. Substantive Colonel: 1 May 1914. 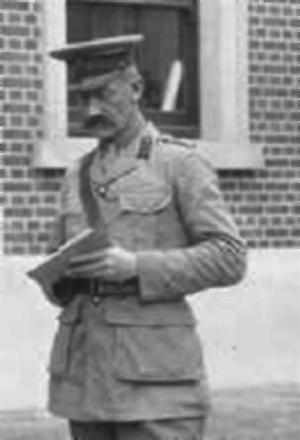 Commandant, 4th Military District, 1 July 1914. Temporary Chief of the General Staff (1st military Member) Military Board, 24 May 1915. Honorary Brigadier General: 1 December 1915. Temporary Brigadier General, AIF, 28 December 1915. Temporary General Officer Commanding, 15th Infantry Brigade, AIF, 21 February 1916. Temporary General Officer Commanding, 14th Infantry Brigade, AIF, 2 March 1916. Commandant AIF Headquarters, Egypt, 1 May 1916. Commandant, 4th Military District, 25 June 1916. 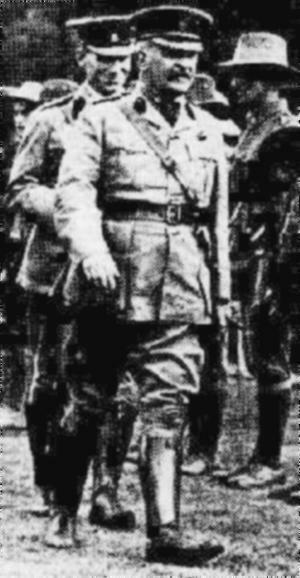 Temporary Commandant, 1st Military District, 16 February 1917. Commandant, 1st Military District, 1 April 1920. Deputy Quartermaster General, May 1921. Died: 11 December 1937, Melbourne.